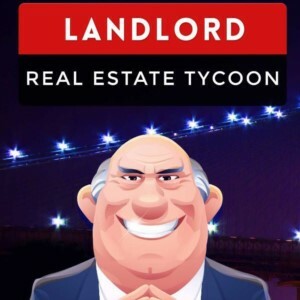 Landlord 2 Tycoon Game by Reality Games is the latest Tycoon game to hit the App market. It is available on both Android or iPhone, and made to simulate a real-world Monopoly game by utilizing actual locations such as your local store, restaurant, park, or even government building. The gameplay is well refined and has straightforward navigation to various aspects of the game. Upon registration, you'll be given $50,000 to start buying property to build your global real estate empire! If you enjoyed playing AdVenture Capitalist, another Android game, this is a more real world version of that game, that spreads over many months instead of a game that loses its replay value after a week. Double your starting Landlord cash, enter 84FB4F8F for additional $50,000. UPDATE: Follow this link for an extra 100 coins (better than $50,000). Since the game Landlord is based off of Foursquare data (number of check-ins), you'll want to find properties with high traffic. The more people that enter and check-in, the higher the rent and revenue you will receive. Carefully purchase the right property. Buying and selling property is NOT free. Lawyers are involved in paperwork who end up taking large chunks of money. 20% when you sell! This means, before you purchase, plan on keeping the property long enough to at least recoup lawyer fees. Use the Landlord app at least once a month (although a daily check-in is ideal), otherwise your properties will be automatically sold. You also don't want your cash on hand to hit your cash limit (based on your level). If that happens, you will stop accruing cash. Properties in a big city are more likely to have fluctuating property prices and higher rents. However, those properties will also cost more money! If you don't live in a big city, consider purchasing a local property in your area (will have less competition) to begin building a revenue stream. As you level up, your cash limit will increase. If you know ahead of time you're going to visit a big city, make sure you max out to your cash limit to maximize your purchase in the city. Always save a few property slots for larger (higher traffic) purchases. Other than these tips, Landlord is a very fluid game that depends a lot on the check-in data coming from Foursquare. If anything, only tips can be offered on how to increase your odds of a successful real estate empire. Keep in mind when comparing yourself the leaderboard that players can also pay real money for more cash and coin, so the leaderboard ordering is not entirely even. Good luck!